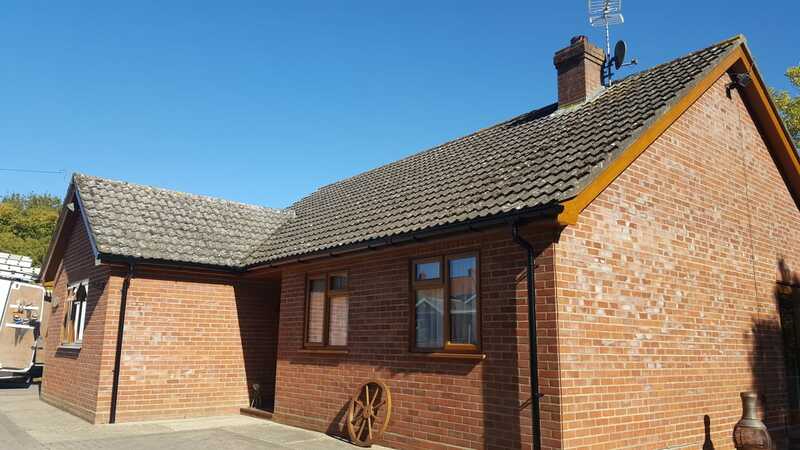 Is Your Barge Board Above Your Garage or Extension Area & Difficult To Paint? 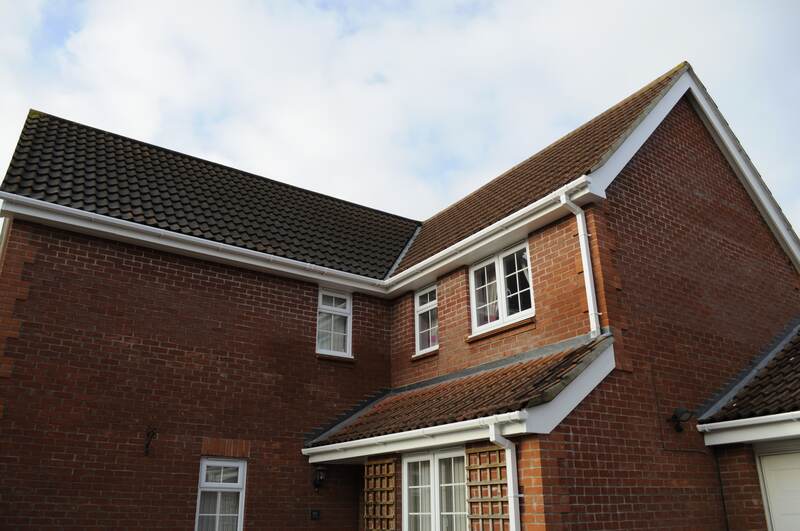 The barge boards & soffits are often directly above a lower level Garage or Extension area. 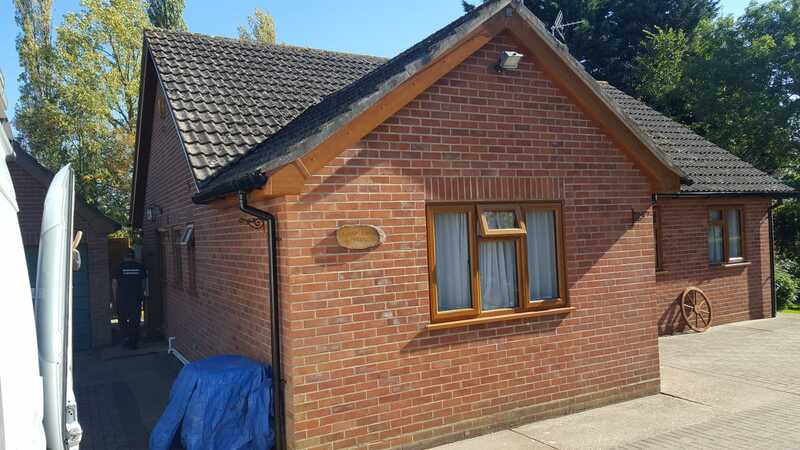 This is one of the principal reasons why home-owners defer maintaining the boards as regularly as they should; every 4 years is the recognised cycle. 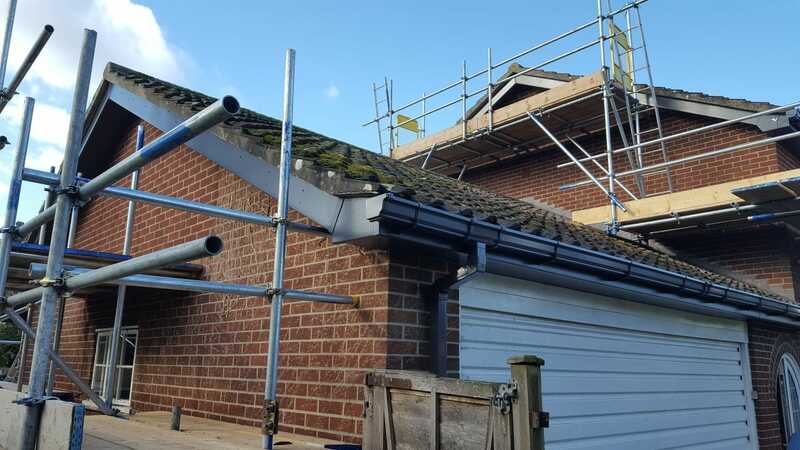 Hiring full scaffolding or a cherry picker can cost around £400.00 per wall, considering this cost needs to be repeated every three to four years it becomes an expensive proposition. 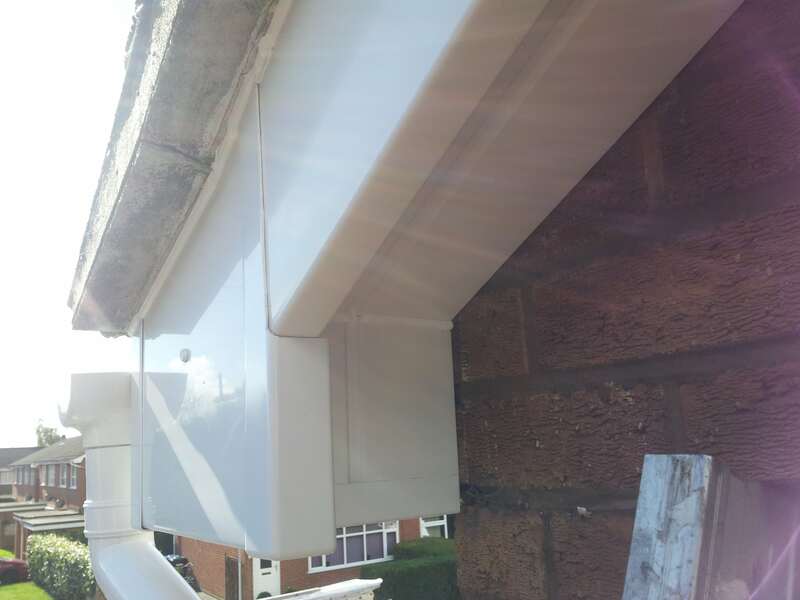 Anglia Roofline owns Easy Deck systems that often allow us to access awkward lower levels, reducing our customers set up costs. Should full scaffolding be needed to handle barge board replacements, then we have a good working relationship with a Norwich based firm who offer us a preferential hiring rate. 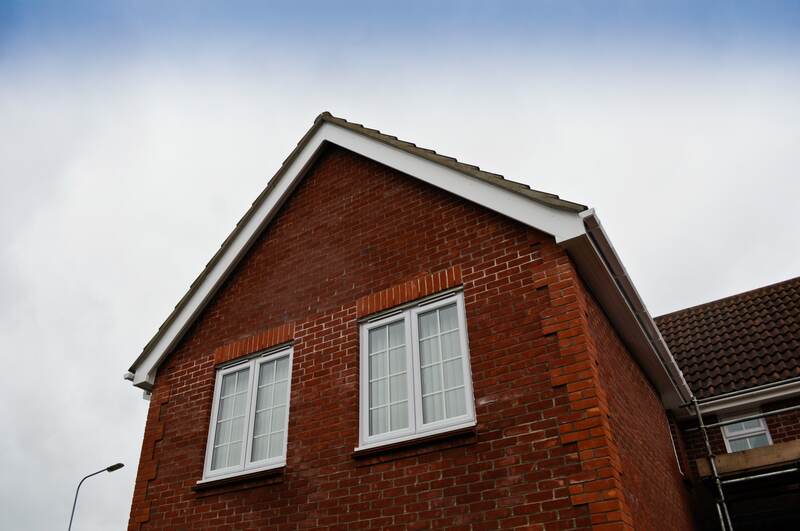 Known as the gable end, the Barge board & Soffit board closes off the gap at edge of the tiles along the pine end of your house. 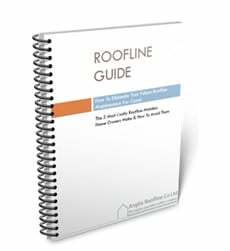 Preventing leaks into the cavity wall and attic space the barge board is an important element in the construction and sealing of your property. 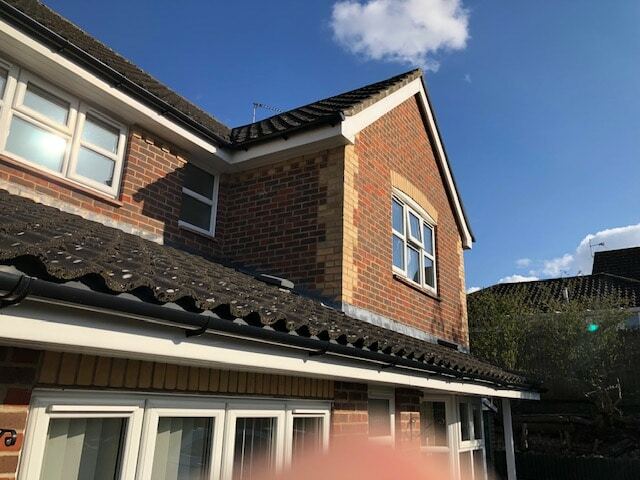 Anglia Roofline installation services use only high quality uPVC barge board replacements which are very important as the water runs down the gable end. 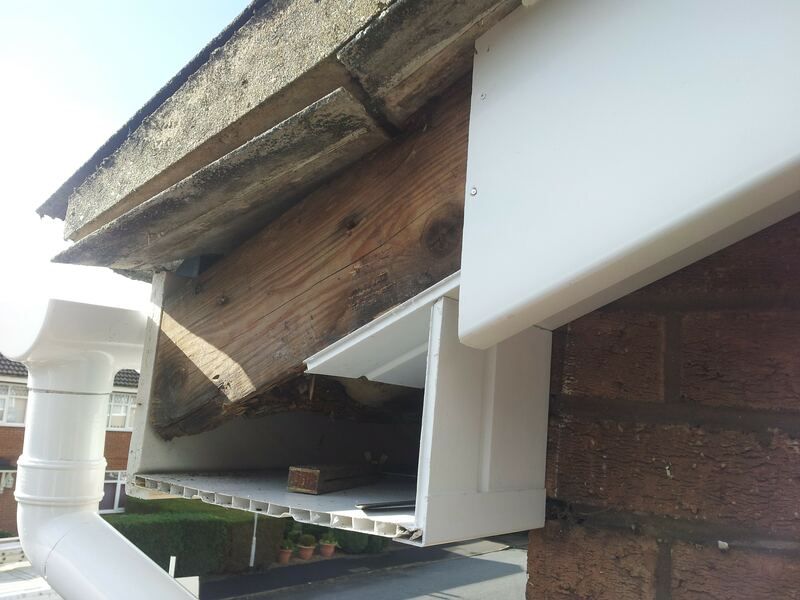 The end rafter ladder area is replaced first with timber to allow a good fixing for the Soffits and Barge board replacement to be fitted onto. 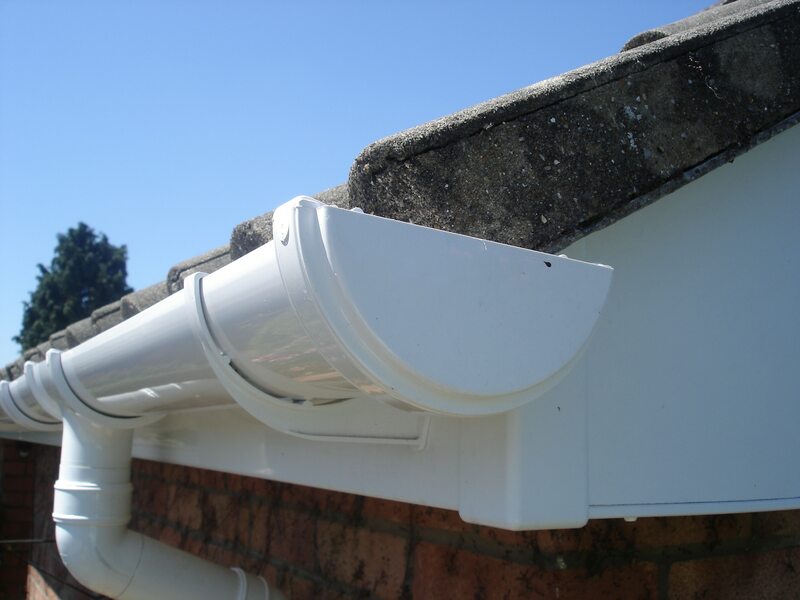 As with uPVC Fascia & Soffit boards, just covering the Barge boards is not a viable option as you trap the moisture in to the wood. 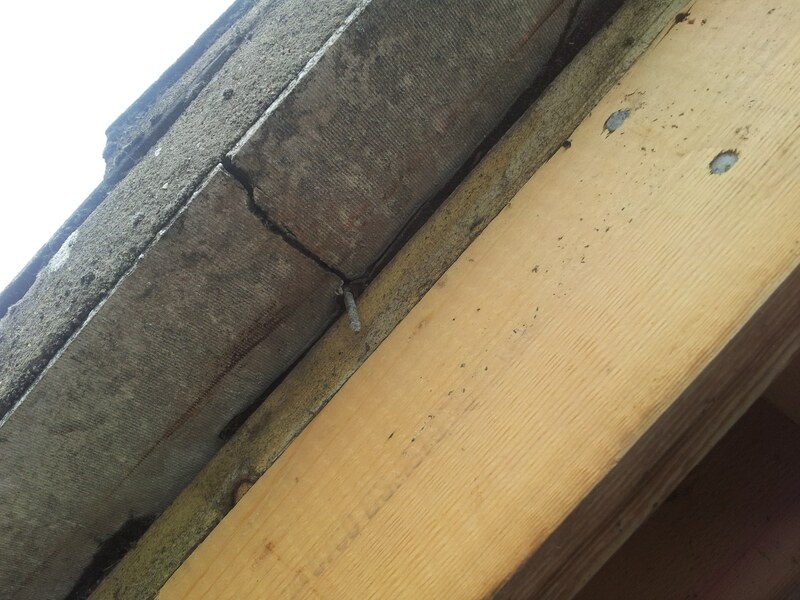 This leads to the uPVC “sweating” compounding the original problem. 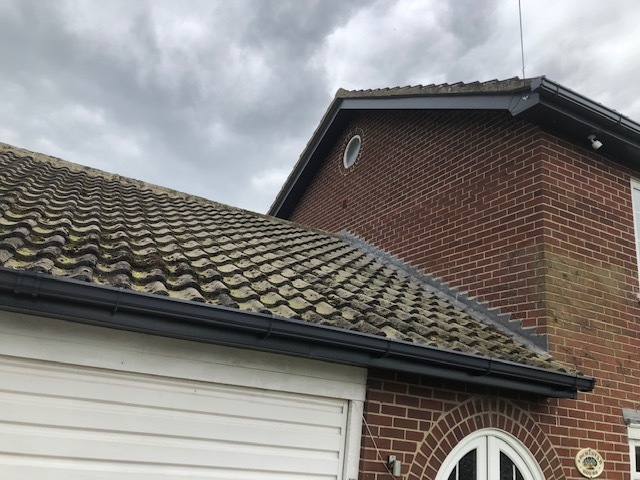 Part of our service, if requested, includes the re-cementing of the verges on the gable end of your home to ensure that they are water tight and protected from the elements. 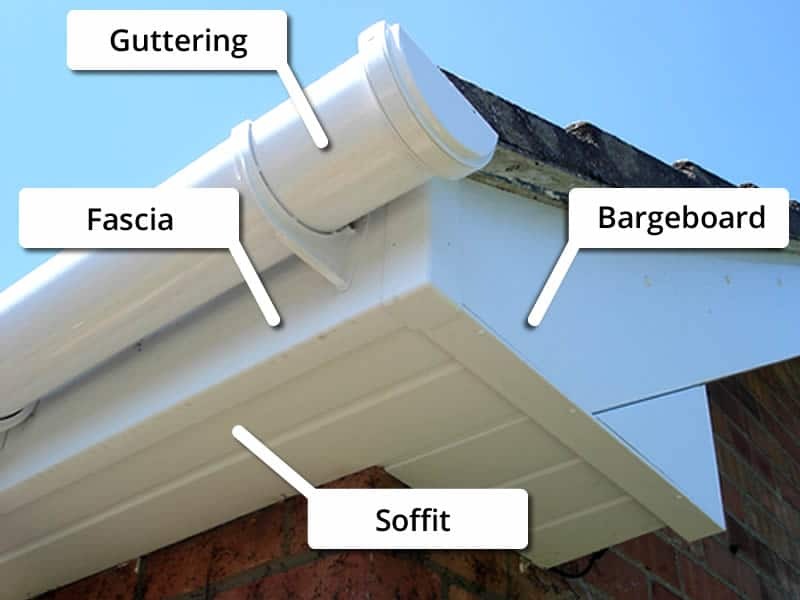 To ensure that you only have to have your Fascias, Soffits & Barge board replacements done once, call the roofline experts on 01603 872049 or email me info@angliaroofline.co.uk | See our 5 Step Full Fascias, Soffits & Barge Board Replacement Method on the Installation page to learn more.